The Welsh government is asking how opportunities to access the outdoors for responsible recreation can be improved. We have produced a draft response, and you can also have a say. We’re constantly looking at ways to improve BMC Travel Insurance. Whether you’ve taken out a policy with us or not, complete our five-minute survey and you could win one of three £50 Snow+Rock vouchers. And this October, BMC Rock Insurance is just £29.99 for a week. Are you an archivist or curator, or know someone who is? There’s a vacancy for a Collections Manager at the Mountain Heritage Trust. Closing date for applications is Monday 28 September. In July, the Welsh Government launched a far-reaching consultation on improving opportunities to access the outdoors for responsible recreation. 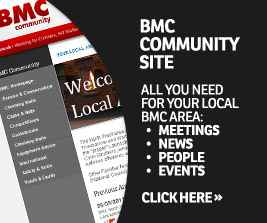 The BMC has produced a comprehensive response to the consultation, which ends on 2 October. You can have your say too. The BMC has teamed up with the Telegraph, TV presenter Mary-Ann Ochota and Marmot for a spectacular new short film series documenting five of of the greatest hill walks in the Lake District. Britain's premier lead climbing competition takes place at Awesome Walls, Sheffield on 7-8 October, alongside the British Speed Climbing Championships and a round of the IFSC Paraclimbing Cup. Grab your oversized pack, top up on sunscreen and head overseas to make this autumn of walking a memorable one. It’s official: summer is over. But don’t plunge into dark despair, plan a hot rock escape to see you through until Christmas. And this October, BMC Rock Insurance is just £29.99 for a week. BMC International Meets are week long gatherings of climbers from all over the world. The aim is to showcase the uniqueness of British climbing and its ethics and traditions, along with fostering international relationships. A new initiative has been launched to support student clubs when taking novices outdoors. Due to demand this has been extended through to March 2016. Nepal trekking: back in action? It’s been three months since Nepal was rocked by devastating earthquakes. As the autumn trekking season approaches, what’s the situation on the ground? Richard Goodey from Lost Earth Adventures gives his opinion on Nepal’s better known trekking areas. In July, a team of British Paraclimbers climbed the Eiger by the West Flank Route to raise awareness about climbing with disabilities. John Churcher, who is blind with 3% vision and also requires hearing aids, describes the ascent. Junior Lead Team manager Ian Dunn gives us the second instalment of the GB Climbing Team’s 2015 World Youth Championship report and tells us how the junior lead team got on in the second half of the mammoth week of competition with over 1,200 young competitors in attendance from around the world. If things go wrong in the mountains, what do you do? Chris Townsend explains the procedures you need to know but hope never to use. DMM has issued a recall of some of its locking carabiners, subject to user inspection. Read on to find out which models are affected and how to return any potentially faulty carabiners.